Colour On Code is a digital product agency, combining strategy, design and development to create delightful user experiences for bespoke mobile apps, web applications and websites. High in performance. Detail on graphics. Great to game. Performance, response time and usability are super critical in developing any game. Dropped frames can end user interaction for all games, no matter how great of an idea it is. Writing applications natively, and operating directly on the graphics processor, ensures that your great game idea will not go to waste. 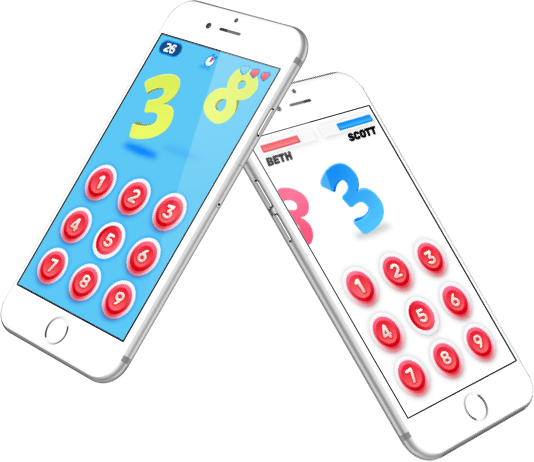 Colour On Code prides itself on developing highly responsive mobile games for iPhone, iPad and Android devices, centred around gaming enjoyment. Our enthusiasm and love of games will mean you will receive an unrivalled client service throughout the lifetime of your project. We’ll help you get the best out of your idea and take full advantage of mobile devices, ready to target billions of active gamers. Our games are built with the latest native technologies such as Metal on iOS to make sure your game is finely tuned for maximum user enjoyment. The trend of mobile games today encourages a free entry with paid services that can enhance the users experience. By having a free tier, it allows for maximum uptake to your game. Perfect for story based games, this will allow users to enjoy your game forever without having to worry about using up game resources. Advertising in games ensure you can support your mobile game to every user with a mobile device. Supplying your game free of charge, forever, is a great way to increase user engagement. Need advice about about an idea, have an ongoing project, or looking to start a new digital project? Our multidisciplinary skills build brands and deliver exceptional customer experiences in the digital world. First class app development. Excellent technical skills and fantastic communication. The work developing my app was outstanding and I couldn’t recommend highly enough.